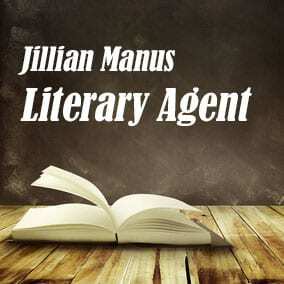 Jillian Manus Literary Agent – This article about Literary Agent Jillian Manus and the Manus & Associates Literary Agency is part of a series about literary agents and how to Find a Publishing Agent. Publishing Agent Jillian Manus is an agent with the Manus & Associates Literary Agency. Book Agent Jillian Manus provides 360 degree branding, platform building, and management for clients, including business, medical and political leaders, celebrity musicians, actors, chefs, and professional athletes. She does this as the president of Manus Media & Literary Agency, as well as Broad Strategies, Inc.
Jillian Manus Literary Agent serves on several local and national boards, including the board of trustees for New York University, the Dean’s Council for the Tisch School of Arts, Communities in Schools, InnVision Shelter Network, College Track, Internews, The Shiver Report Advisory Board, Center of Investigative Reporting, and served for seven years as Chair for the largest women’s conference in the world, The Women’s Conference, under the leadership of Maria Shriver. She’s also chair of the California Governor and First Lady’s Conference on Women and Families. She’s very active in the development efforts of numerous literacy and mentoring programs across the country, including serving on the Leadership Advisory Council for Save the Children. Literary Agent Jillian Manus is known for paying special attention to books that empower women physically and spiritually, because her personal mission is to fuel all efforts which create a path to self-sufficiency and security for women and children. Literary Agent Jillian Manus has an extensive background and knowledge of the marketplace that has been acquired in the course of her distinguished and multifaceted career. She has been a TV agent at International Creative Management, Director of Development at Warner Brothers and Universal Studios, VP of media investment and acquisitions at Credit Suisse/Trende: AG, and an Associate Publisher of two national magazines covering the technology and entertainment industry. She’s also a member of the Clinton Global Initiative and serves as Senior Strategic Advisor to VantagePoint Venture Partners. Due to her background, Literary Agent Jillian Manus is a much sought after speaker and is frequently invited to provide political commentary in both print and television. Including multiple appearances on The War Room with Jennifer Granholm, Hardball, and on Fox News. As a philanthropist and engaged activist, Literary Agent Jillian Manus is primary focused on Policy Reform, Education Reform, Veterans Awareness, Corporate Social Responsibility, and the eradication of Homelessness. Jillian Manus Literary Agent is on our list of Publishing Agents California (book agents in California), Publishing Agents USA (book agents in the United States), Fiction Publishing Agents (book agents who represent fiction authors), and Nonfiction Publishing Agents (book agents who represent nonfiction, not just novels). The profile about Jillian Manus Literary Agent that you see here contains just some of the information you’ll find in our free Book Agents Directory, with listings for all publishing agents. Scroll below now to learn more about Literary Agent Jillian Manus and get free instant access to our Book Agents Directory. Scroll below now to view representative titles and a complete profile for Jillian Manus FREE in our Book Agents Directory. Scroll below now to view the AAR status and a complete profile for Jillian Manus FREE in our Book Agents Directory. Scroll below now to view the email and postal address for Jillian Manus FREE in our Book Agents Directory. Want more information about Jillian Manus Literary Agent? Join thousands of other subscribers today by entering your first name and email address. You’ll get free access to the Directory of Book Agents with detailed profiles for all book agents, including Jillian Manus.